Why choose Pet Sitting 4 Paws? It has always our passion to provide the best for animals. They deserve the best because they give us so much in return. Keeping pets happy and healthy while their owners are away, we feels blessed to be a part of their daily routine. It is our priority to treat family pets the same as they are by their loving families, giving undivided attention to detail. When you choose Pet Sitting 4 Paws, you're getting someone who's motivation and concern stems from many years of professional pet care experience and has genuine love for an animal's well being. Pet Sitting 4 Paws is Bonded and Insured for complete peace of mind. One of the greatest joys Meghan receives from pet sitting is the ability to make sure pets are safe and given the attention they deserve. 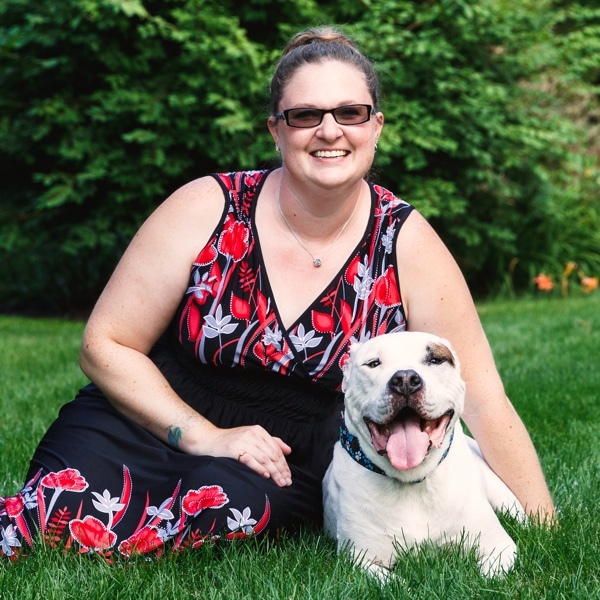 Whether it's an extra pat on the head, a routine walk or administering medication, these are all things that have led her to love her job as a pet sitter. Meghan started out her profession taking care of animals for her local shelter. From there she had enrolled in a professional pet grooming program and became employed at her first veterinary clinic as a vet assistant. After obtaining her Professional Pet Grooming Certification and graduating valedictorian, she began her six year career as a dog groomer and excelled at making pets feel and look better from the outside-in. Due to the extreme physicality of grooming independently, she returned to the medical field for the next five years where she gained exceptional knowledge and skills as a veterinary technician including emergency care. Meghan started Pet Sitting 4 Paws in 2013 after seeing the need for professional pet sitter services in the Waukesha area. Meghan currently has a dog named Pongo and a cat named Mowgli, both adopted from local animal shelters. In her spare time Meghan enjoys reading, camping, gardening, and spending time with family and friends.